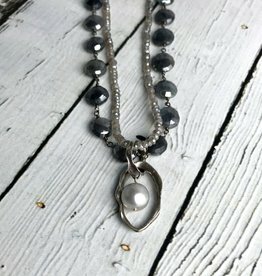 Necklace is 18” long with a handmade toggle closure. 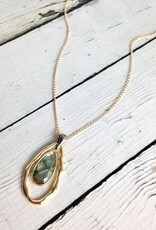 Pendant measures 2” x .75”. 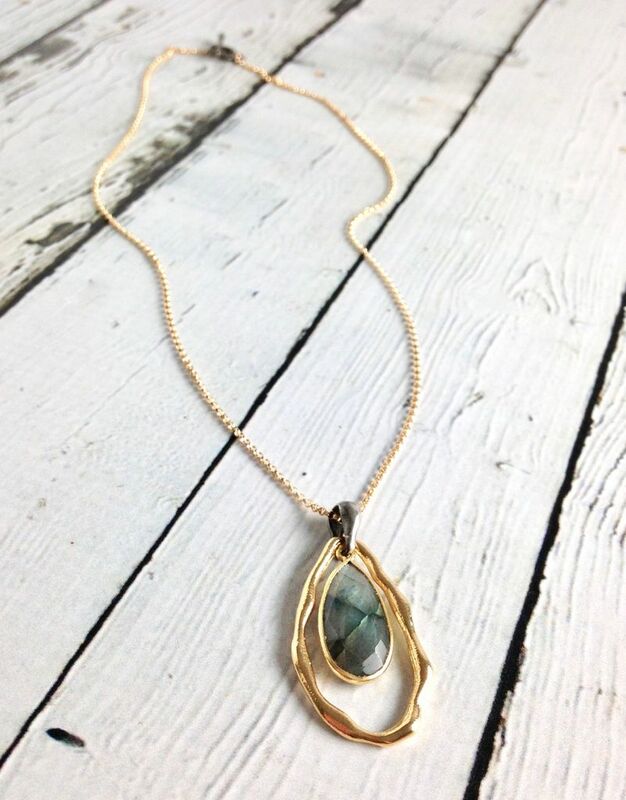 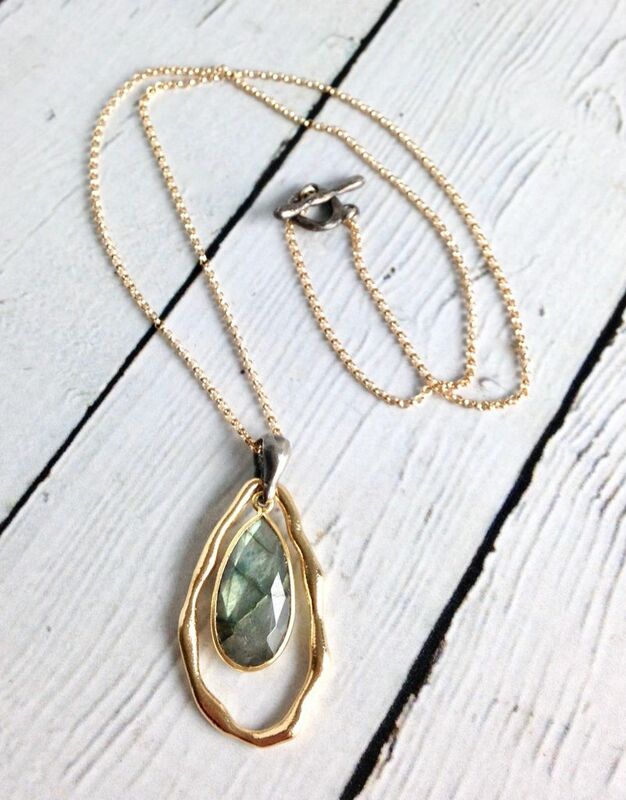 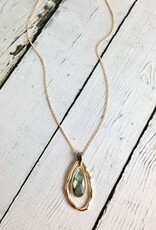 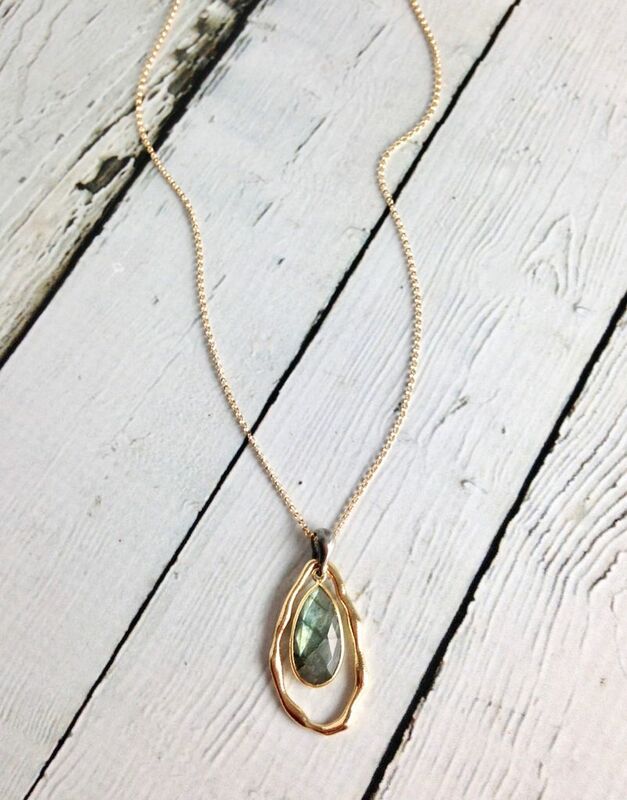 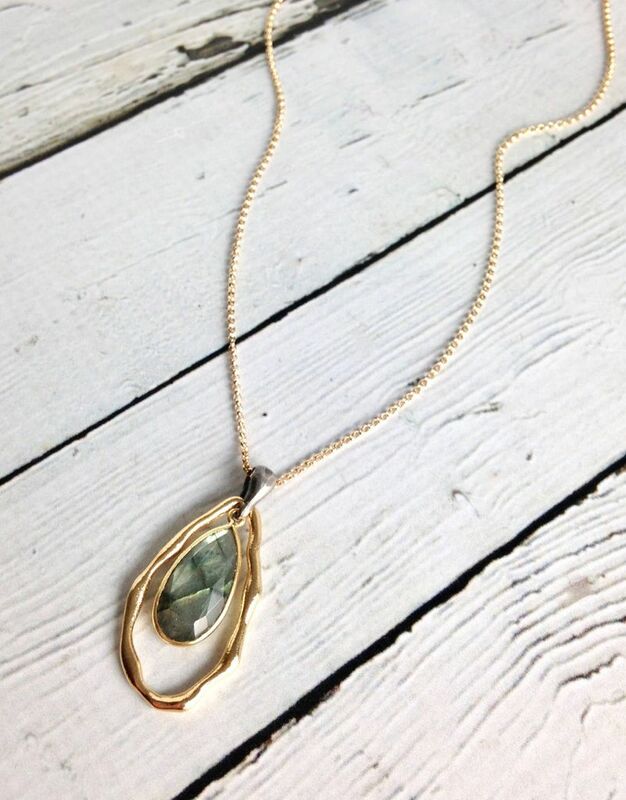 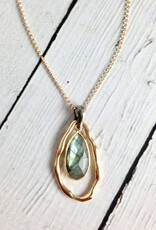 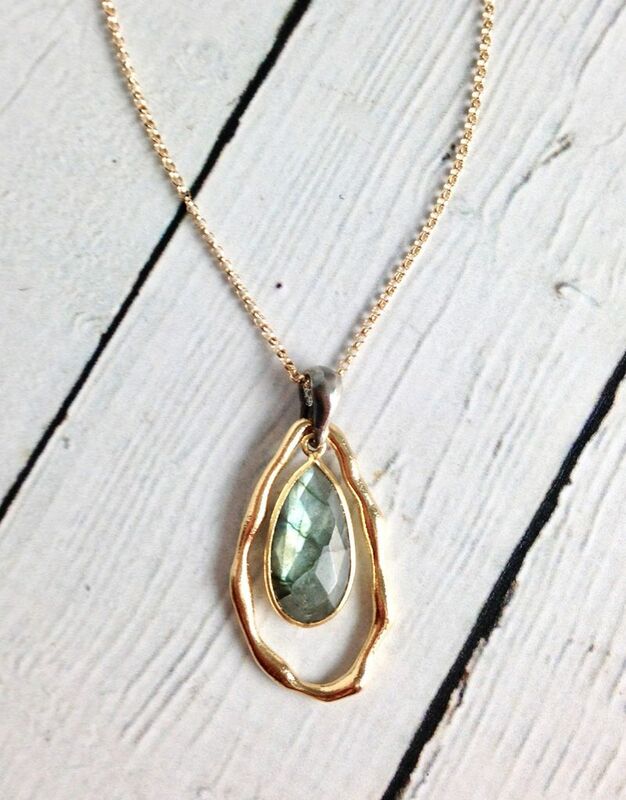 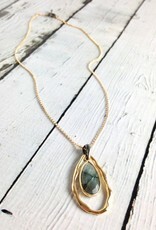 Labradorite teardrop is .75” x .4”. 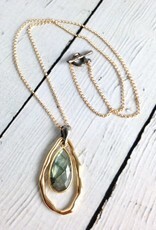 Made by Mashka Jewelry out of San Francisco, California.